The story of Sweet Tea spans more than a decade. Starting off a scholarly book by E. Patrick, it has since been adapted into a one-man show and is now a feature length documentary. Each iteration highlights different characters and topics in the lives of these black gay men of the south. 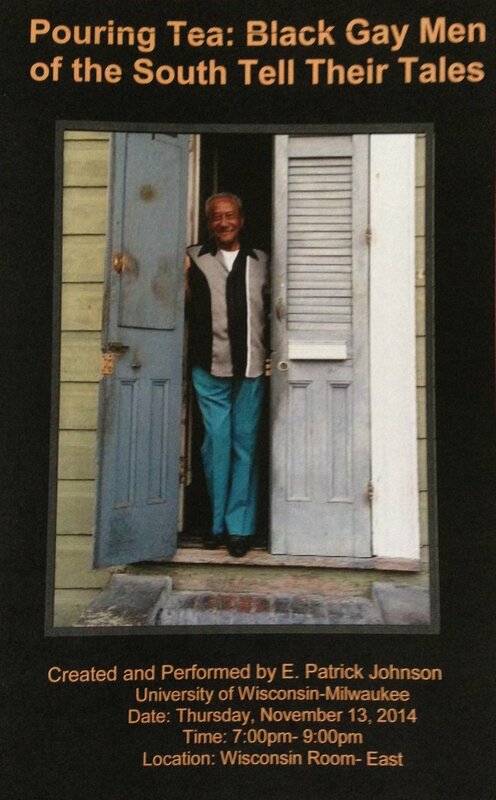 Giving voice to a population too rarely acknowledged, Sweet Tea collects more than sixty life stories from black gay men who were born, raised, and continue to live in the South. Based on two years of ethnographic research, E. Patrick Johnson challenges stereotypes of the South as "backward" or "repressive" and offers a window into the ways black gay men negotiate their identities, build community, maintain friendship networks, and find sexual and life partners--often in spaces and activities that appear to be antigay. 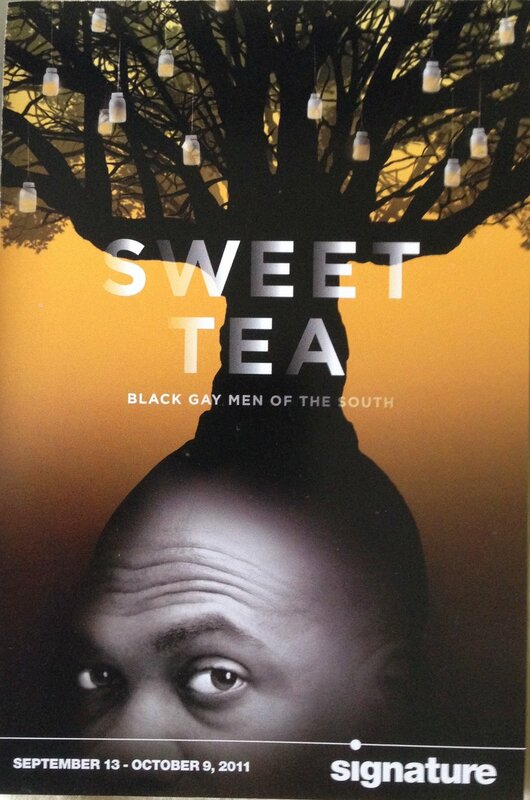 Ultimately, Sweet Tea validates the lives of these black gay men and reinforces the role of storytelling in both African American and southern cultures. Published in 2008 by the University of North Carolina Press. 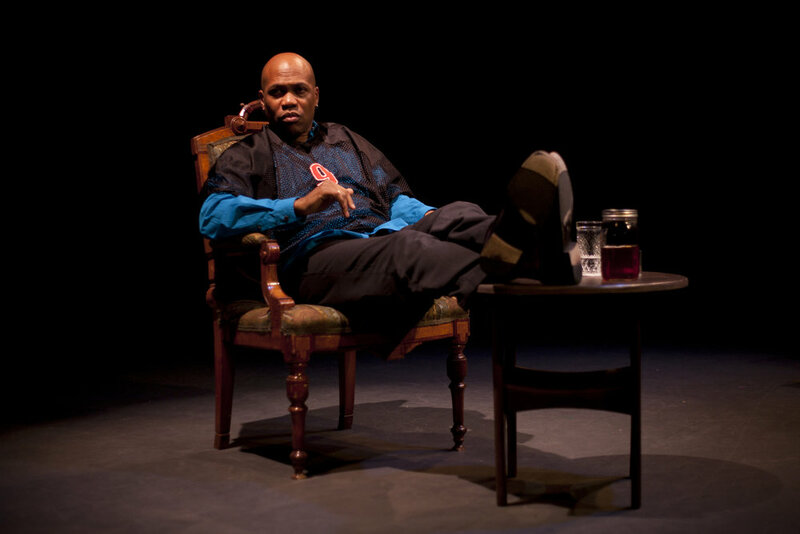 Shortly after the book was published, Johnson adapted the stories into a one-person stage play, in which he perform thirteen different men’s narratives, in addition to his own story about growing up black and gay in the South. The play premiered in Chicago in 2010 and was later produced in Austin, Texas; Arlington, Virginia; and Durham, North Carolina. The film project began in 2013 in collaboration with anthropologist and documentary filmmaker, John L. Jackson, Jr., who is a faculty member at the University of Pennsylvania. Because of Jackson’s interest in using the medium of film as creative scholarship and social change, he approached Johnson about making a film about Sweet Tea that would showcase how to use art as a scholarly method to engage audiences beyond the academy. Making Sweet Tea, the film, combines footage from the productions of the play with documentary moments from the lives of both Johnson's interview subjects from the book and the author's own life, depicting both his research process and the complexities of his relationships with the men in the study. One experimental component of the film is Johnson's re-staging the performance of the interviewees’ narrative in their homes, in their churches, or on their jobs, sometimes with them directing him or with them in the scene. The film, much like Johnson's research, attempts to transcend conventional assumptions about what counts as “scholarship”—and to re-imagine how such scholarship can/should be shared. The film engages questions about how we represent portions of other people’s life stories and how those stories impact researchers, audiences and, more importantly, the people whose stories are represented. It also engages questions about what it means to blur the boundaries between art and science, scholarship and activism, and what is gained or lost by such boundary blurring. Sweet Tea attempts to place these interconnected themes and questions in critical and creative conversation, while also providing a space for the interview subjects to play an active role in how their stories are told and shared.